A dummy object is an object that is not present in the world visually but shares all properties that other objects have. It is similar to the dummy node except for the possibility of assigning a physical body to it. 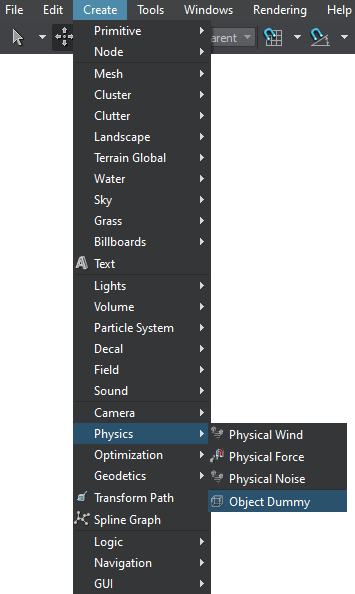 On the Menu bar, click Create -> Physics -> Object Dummy.